Make sure your baby sleeps comfortably at night by getting this comfortable sleepsuit. Displaying a lovely Teddy bear print, this sleepsuit looks trendy with snap button closure and long sleeves. 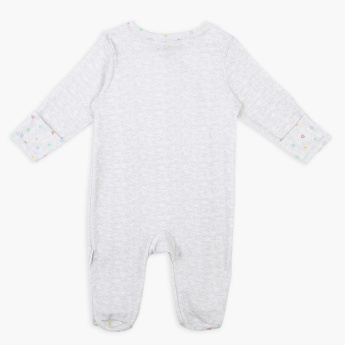 Features : Pure cotton made closefeet sleepsuit with cross opening snaps closure for easy dressing.